Welcome to The Heirloom Seed Store! 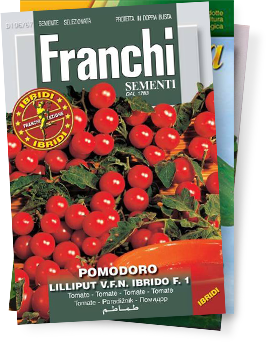 We carry the best selection of Franchi Old World Italian Seeds, imported directly from Italy, which means non-GMO, open-pollinated seed goodness. 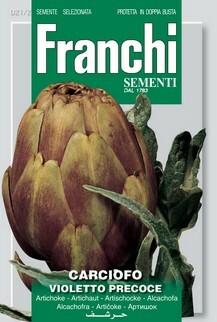 Take a look at our online store, where you’ll find over 400 varieties of Franchi heirloom seeds! 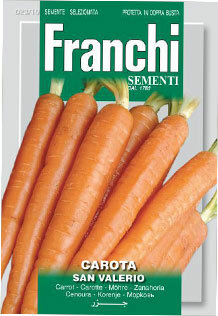 Carrots are easy to grow and best in cool conditions such as Spring or Fall. With over 10 varieties to choose from, we’re sure you’ll find one you love. A mid-early vigorous attractive plant producing medium sized, thornless purple artichoke globes which have tender meaty leaves. 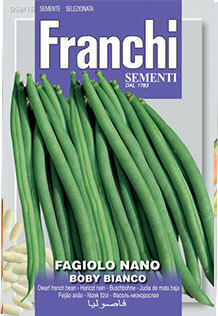 One of the most traditional of Italian vegetables. Non GMO. These bush-type beans have a long, productive season. Thin, crisp and sweet taste. They’re our most popular bush bean. Give them a try today! The Heirloom Seed Store was designed and developed in Half Moon Bay by Crucial Creative.